Nearly 83% of all Americans 18 years of age or older drink some form of coffee every day – three cups is the average. Some choose their caffeine fix in the form of latte, mocha, espresso, cappuccino, and iced coffees, while others go for the good ole standard cup of Joe. Did you know coffee is the United States’s largest food import and second most valuable commodity after crude oil? The aroma of brewed coffee is a smell most of us love, and of course, coffee makes us feel more alert and ready to tackle the day. But before you go for a refill, put your coffee cup down for a minute and read on. Most people think coffee is good for them. After all, we’ve been told time and time again that coffee has numerous benefits ranging from protection against cardiovascular disease, Type 2 diabetes, and lowering our risk for Alzheimer’s, Parkinson’s disease, and multiple sclerosis. Studies have also shown that coffee drinkers have less risk of heart disease, colorectal cancer, and even protection against cirrhosis of the liver. Sounds like a miracle drug! But if coffee is so beneficial and over 180 million Americans are drinking it every single day then why are so many people sick with cancer, heart disease, diabetes, and Alzheimer’s? Did you know that up to 250 pounds of pesticides are sprayed on one acre of coffee plants? So when you’re drinking coffee, you’re also drinking pesticide residues. No, they don’t get roasted off like some claim. The pesticides are absorbed into the root system of the plant and its parts including the coffee cherry or bean. Roasting coffee beans actually cause the formation of new chemical compounds. For every cup of coffee, you’re getting at least 10 milligrams of carcinogens. You probably won’t recognize most of the names of the fungicides, herbicides and insecticides commonly used on coffee plants: cypermethrin, triadimefon (brand name Bayleton), methyl parathion (ethyl parathion, parathion), disulfoton, diazinon (brand name Basudin), chlorpyrifos (brand name Dursban), endosulfan (brand name Thiodan). All are deadly poisonous to fish, birds, beneficial insects, and other indigenous wildlife. Imagine what it’s doing to your body if you’re drinking it every single day? Some pesticides do not break down readily in water and will attach to soil particles so it may take years to degrade. Many of these are linked to health issues such as cancer and miscarriages in pregnant women. Let’s say you decide to drink only fair trade organic coffee. Obviously, it’s a healthier choice, but you’re still messing with some very important glands in your body – your adrenals. 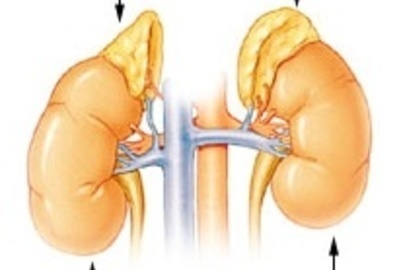 You have one adrenal gland for each kidney and although the glands are only 1 inch wide and 2.5 inches long, they produce cortisol that helps your body control blood sugar, control metabolism and regulate blood pressure. 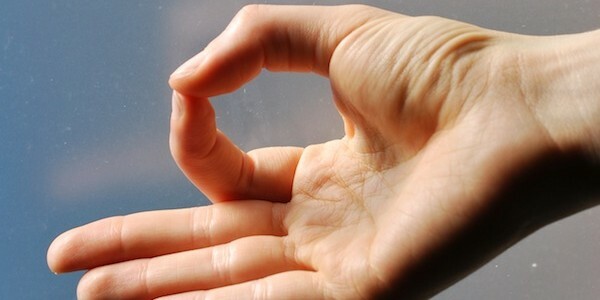 Cortisol works with adrenaline and noradrenaline to help your reaction to stress. The adrenals also produce aldosterone which manages the balance of sodium and potassium in your body, thus controlling your blood pressure. So when you drink coffee or caffeinated beverage, the caffeine stimulates neurons in your brain by sending messages to your pituitary gland. Then your pituitary tells your adrenals to release some cortisol and adrenaline. In other words, the caffeine just put you into fight or flight response mode. And you thought you just needed a cup of coffee or two to feel more alert. You continue with this habit of drinking coffee every morning for years and eventually you start for feel tired no matter how much you sleep so you just drink more coffee. You buy into the belief that being tired is part of getting older, or it’s stress, or illness, or any excuse except for what it really is – adrenal fatigue. It’s a vicious cycle you can’t get out of until you give up the caffeine and strengthen your adrenals. Coffee is not only damaging to the adrenals it’s extremely acidic and is known to cause gastroesophageal reflux disease or GERD, stomach ulcers, and weaken the stomach lining to create tiny holes for stubborn bacteria called Helicobacter pylori commonly known as H. pylori. to enter the intestines. 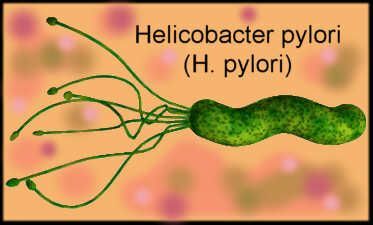 H. pylori reduces your stomach acid and allows parasites and bugs to thrive and multiply in your gut and in the rest of your body. It can create a nasty infection and weaken your immune system, cause leaky gut, and even decrease the conversion of your T4 to active T3 (these are your thyroid hormones). H. pylori is also linked to issues of the liver, gallbladder, teeth, sinus and more. Quitting coffee is one of the best things you can do for your health, but if you’ve been drinking coffee for a long time the withdrawals can be awful. Symptoms of caffeine withdrawal include headaches, lack of concentration, irritability, constipation, muscle pain, lethargy, nausea, dizziness, flu-like symptoms, brain fog, heart rhythm abnormalities, and even insomnia. After a few weeks, you’ll notice the positive effects of quitting of coffee, such as better sleep, decreased anxiety, stable mood, whiter teeth, and maybe a lot more time because you won’t be waiting in line at Starbucks in the mornings!